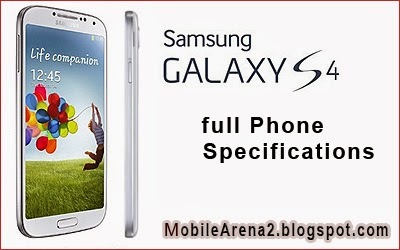 Samsung Galaxy S4 is a sublime set with a long list of new and Advanced features like a 5" 16M-color 1080p Super AMOLED screen. It runs on Android OS v4.2.2 JellyBean with TouchWiz. It has Quad-core 1.9 GHz Krait 300 CPU, Adreno 320 GPU with 2GB of RAM. A 13 MP autofocus camera with LED flash,1080p video recording @ 30fps, continuous autofocus and stereo sound is also present in it with a 2 MP front-facing camera. It is capable of 1080p video recording. Other features are ccelerometer and proximity sensor , Barometer, thermometer, hygrosco, IR gesture sensor for Air gestures,Smart gestures: Smart stay, Smart pause, Smart scroll,7.9mm thickness.